In addition to featuring the work of recent graduates, there is another key feature that makes New Designers one of the stand-out design shows of the year. One Year On - recently renamed to One Year In, is a curated section of the exhibition showcasing work by 100 design entrepreneurs who have recently launched their businesses. Selected by curator Rheanna Lingham, each of the One Year In exhibitors has been chosen for the originality of their thinking, the quality of their work and the viability of their business to continue moving forwards. One Year In’s 2018 selection is the biggest to date, demonstrating New Designers’ reputation as a professional launchpad where design-centric visitors can browse and buy original pieces directly from their makers. 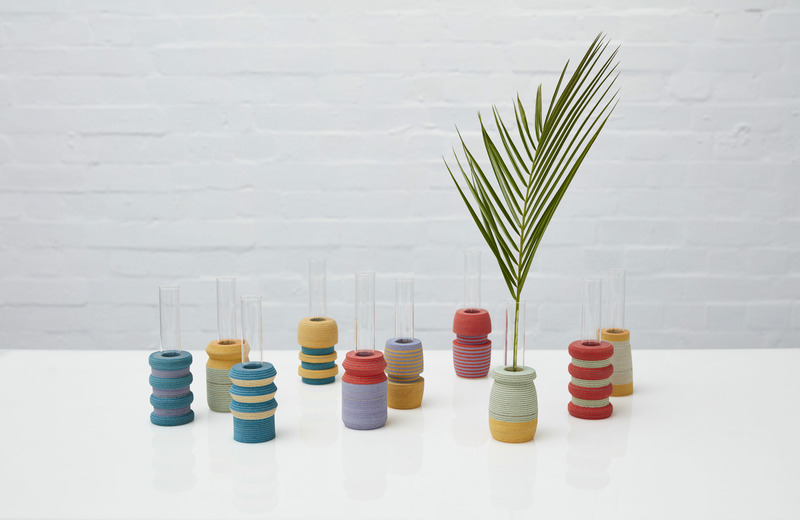 Anna Manfield is a designer and maker based in Nottingham. 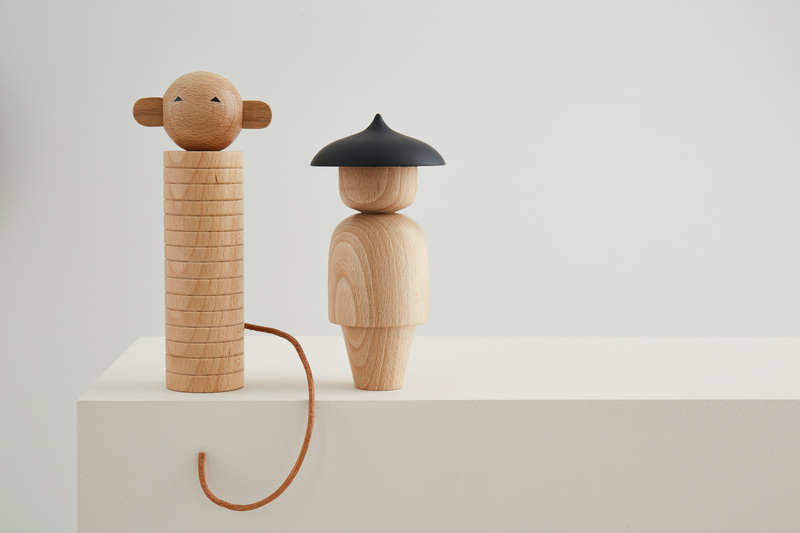 With a focus on ‘play’, she creates objects that are designed to be open-ended and minimal, encouraging those who interact with the objects to embrace their curiosities. Playfully mixing materials, artist jeweller Ella Fearon-Low creates sophisticated, contemporary pieces of jewellery. She is passionate about the way jewellery can act as small-scale, wearable art – and usually, her pieces reference historical forms, comment on the world or tell a personal story. Originally from Poland, Leszek Sikon creates artisan tools and knives, using age-old blacksmithing skills to create modern products. 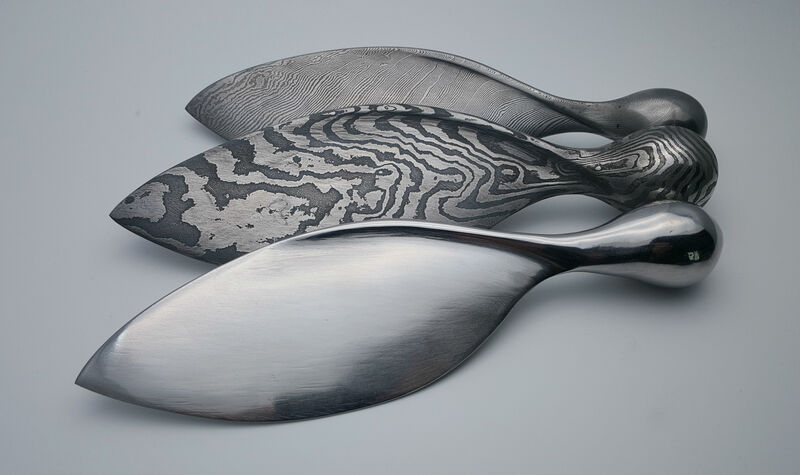 He creates intricate patterns on all of his unique products, finding inspiration from the history of traditional blacksmithing methods, and the high-grade steel he works with. Alexander Hay is a produce and furniture designer, currently based in Newcastle. Often inspired by the natural world, he creates functional, contemporary pieces – often in environmentally sympathetic ways - that draw upon Scandinavian design influences. With a design process rooted in ‘design by making’, Laura Jane Atkinson is a designer-maker based in Manchester. She specialises in creating handmade interior accessories that often challenge and re-appropriate the applications of under-used materials. Tom Abiss Smith is an image maker, currently living in Norwich. Exploring shape and form through both contemporary and traditional techniques such as digital collage, print making and painting, he produces abstract works and illustrative outcomes that are applied to packaging, textiles and print. Manfield, Fearon-Low and Sikon will be showcasing their work at One Year In during Week One of New Designers, whilst Hay, Smith and Atkinson will take part in Week Two.